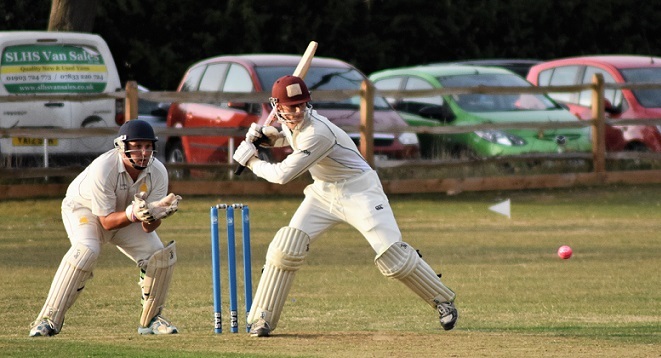 Fewson's Men Stand & Deliver | Effingham Cricket Club. With the prospect of a downpour at any moment Effingham lost the toss and were put in to field. With Oakwood on just one run keeper Benji Thomas produced some wonderful fielding behind the stumps to run out the Oakwood opener. Brown senior and Chris Douglas set the the tone nicely at the start of the Oakwood innings and prevented them getting off to a flying start. Brown senior finished with outstanding figures of 4-13-1 after his four overs after pinning the other Oakwood opener LBW. This was followed up by some superb bowling from Harrison Green making good use of the wicket with his back of a length deliveries. Harrison finished with excellent figures of 4-15-1 which helped keep the run rate to no more than a run a ball during the middle overs. 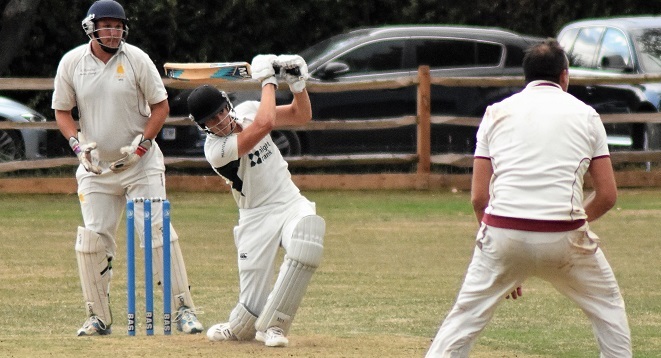 A combination of good bowling from Joel Stroud, pressure in the field and some questionable running from the Oakwood batsmen ensured that wickets kept tumbling at regular intervals. Dom Brown bowled very tight in the latter overs again preventing any potential onslaught from the opposition and claiming two wickets in the process. All in all a superb effort in the field and from the bowlers resulted in an Oakwood total of 122-9 off their 20 overs. The rain continued to hold off and Effingham openers Benji Thomas and Harry Mead got us off to a solid start staying well ahead of the required run rate. Both openers fell which brought Chris Douglas and Harrison Green to the crease with the score at 34-2. Chris got off the mark first ball with a delightful clip of his legs for four which settled the nerves of the herds of Effingham supporters somewhat. The pair continued to make light work of the Oakwood bowling and Effingham coasted along well above the required rate. 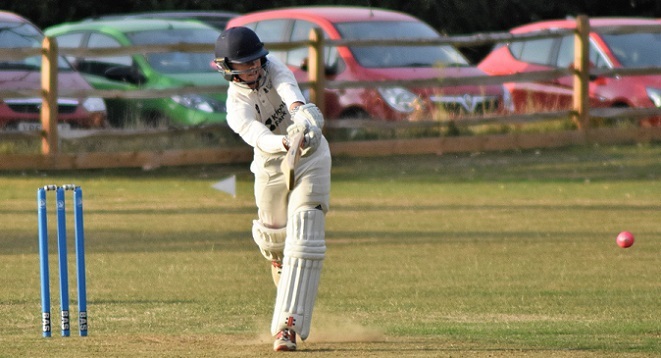 Some hefty blows towards the end ensured an emphatic Effingham victory with almost 5 overs to spare with Chris and Harrison finishing unbeaten on 45 and 35 respectively. 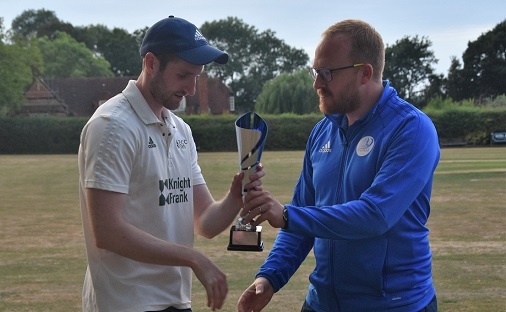 Effingham end up as regional champions for the first time and face off against the other regional winners on the August 27th bank holiday Monday at Beddington CC.